KARACHI: ( April 7, 2019): An encounter between police and suspected criminals took life of a child and got one more injured. 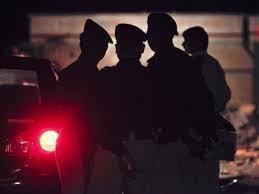 The child was shot dead during the firing session between the police and suspects Friday night at Muslimabad Colony in Quaidabad. Other casualties included two police officers and one more boy injured. According to Malir SSP Irfan Bahadur, Sajjad was caught in crossfire and received a bullet in his head. He was rushed to Jinnah Postgraduate Medical Centre (JPMC) where, according to Dr Seemi Jamali, the young boy couldn’t survive his injuries and died during the course of treatment. His body was handed over to his family after the post-mortem. The post-mortem report says that the bullets that struck Sajjad were fired from a distance of 4-5 feet, according to the JPMC medical-legal officer (MLO) Dr Aijaz Ahmed. The post-mortem was done late Friday night.